TimeZone : Public Forum » Why does Baume & Mercier get so little respect? But for some reason? 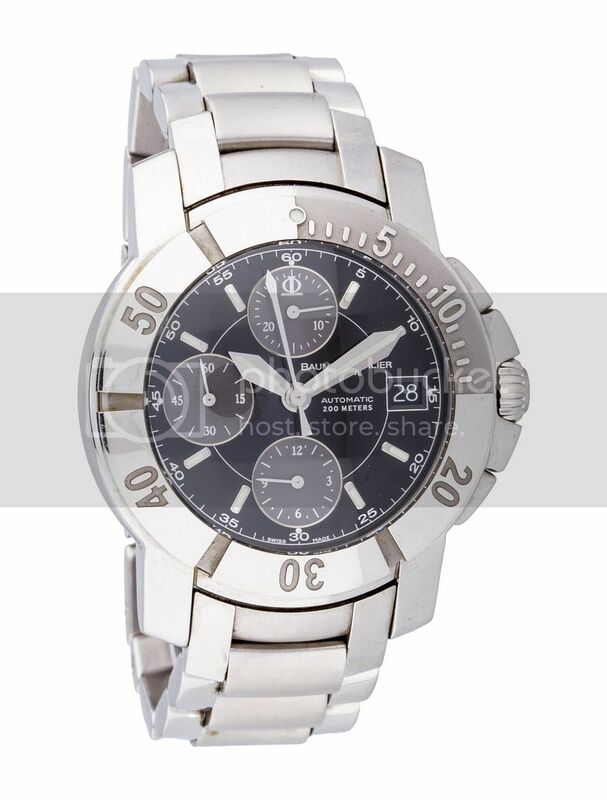 This watch has languished at my dealer's for over two years, so I'm picking it up for an insanely low price. He's given up on even trying to sell it. For the life of me? I can't see any compelling reason why this watch wouldn't have the same durability, longevity, accuracy and 'wrist presence' of a Breitling Super Ocean Chrono, but the resale prices I've seen are 50% lower. B&M has been cobbling together watches since 1830 as Baume Brothers and since 1912 when Mercier joined the company...and then became part of the Richemont group in 1988. Richemont also owns Lange, IWC, Jaeger-LeCoultre, Panerai and Vacheron Constantin - which seems to put them in some pretty heady company. What am I missing? Is there some reputation problem, quality control issue or was it just that terrible advertisement they ran with the lady fiddle players in the 1990's? I'm baffled. Thrilled to get an almost NIB watch for 15 cents on the dollar, but curious why. Here's the model I'm getting...I like it a LOT...is there something I should know?